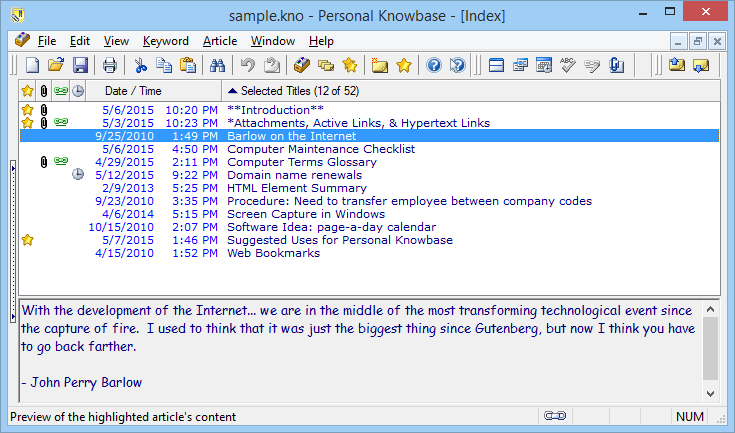 This example shows the simplest use of Personal Knowbase. The Index Window has the two keywords columns hidden. The optional Preview Pane at the bottom shows the content of the article highlighted in the Titles column. With this setup, you can list your articles' (notes') titles and preview their content. Double-click on a title to open the Article Window so you can edit the article.